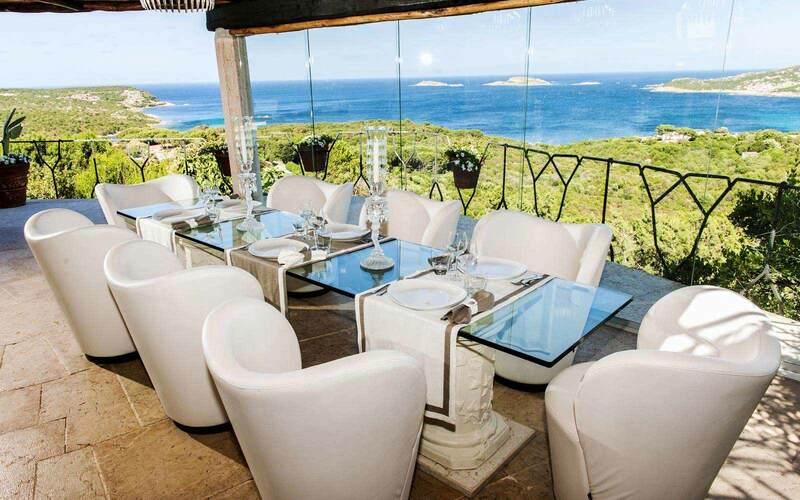 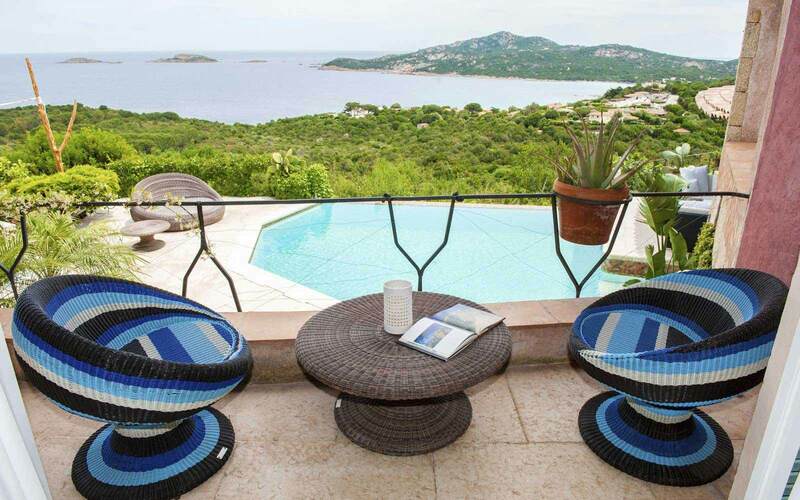 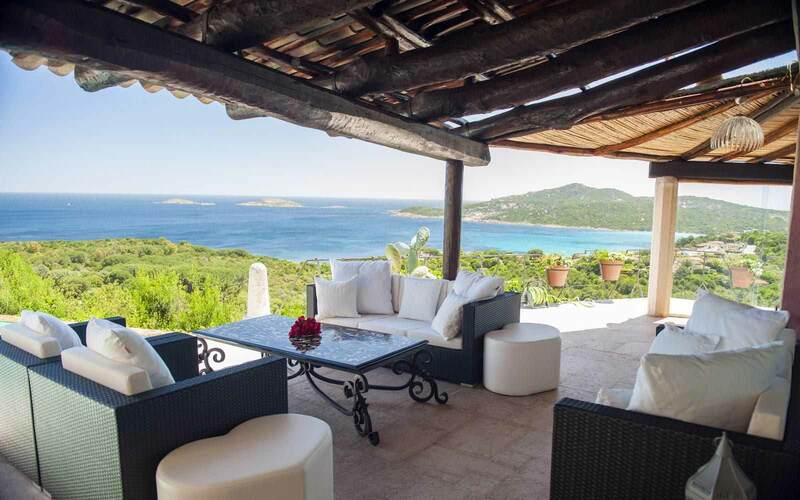 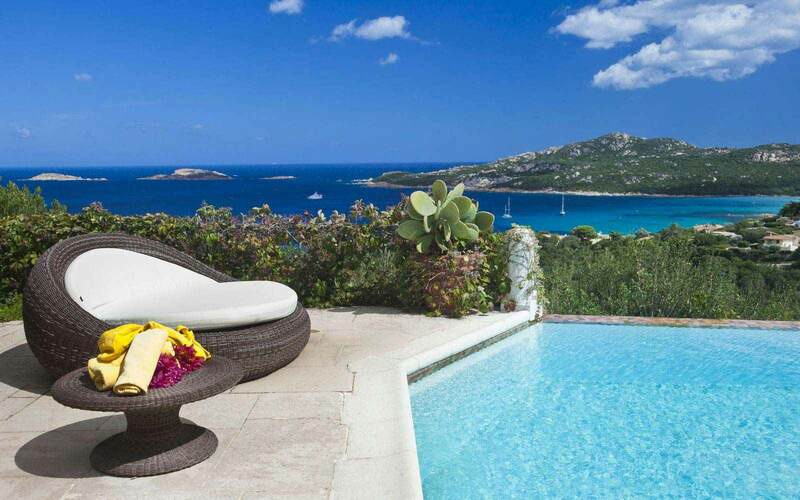 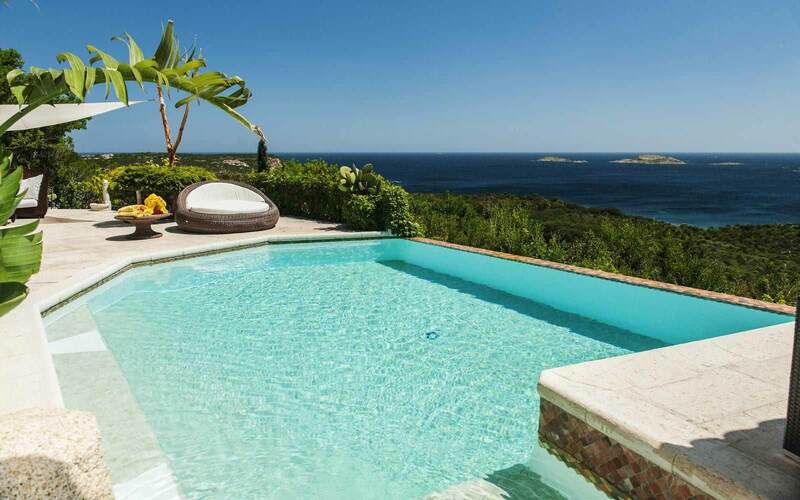 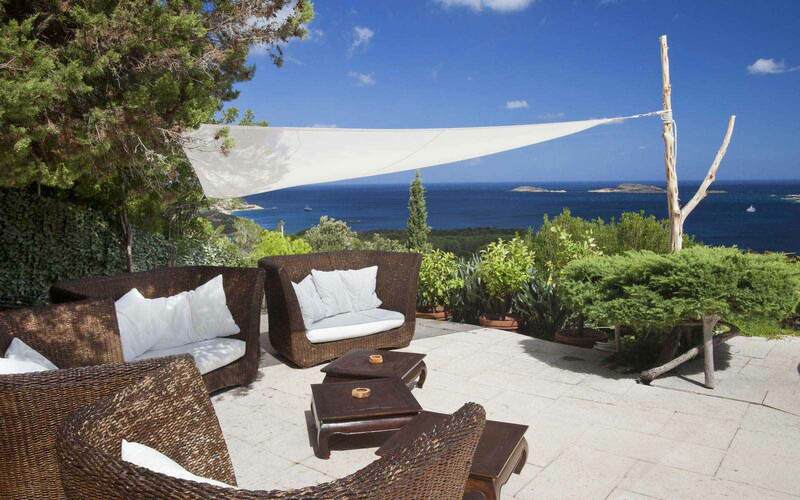 Villa Pantorina is located on elevated position overlooking the beautiful coastline of Costa Smeralda just five minutes from Porto Cervo. 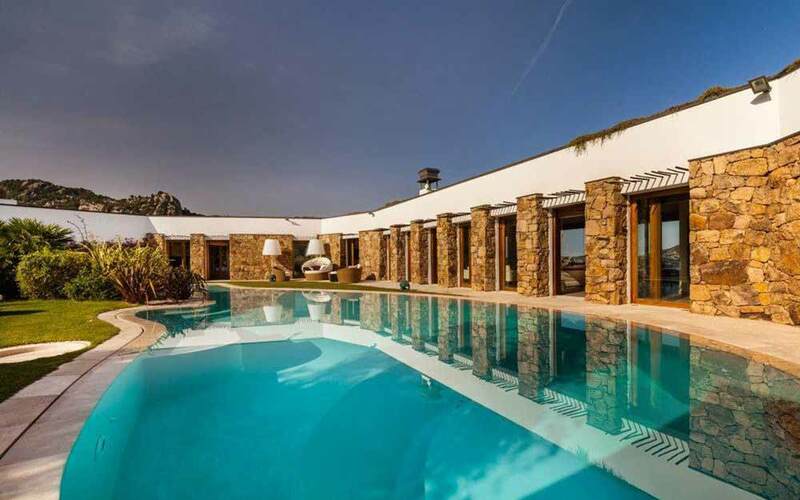 This exclusive luxury villa was designed by the famous architect Savin Coulle and integrates perfectly with the surrounding landscape. 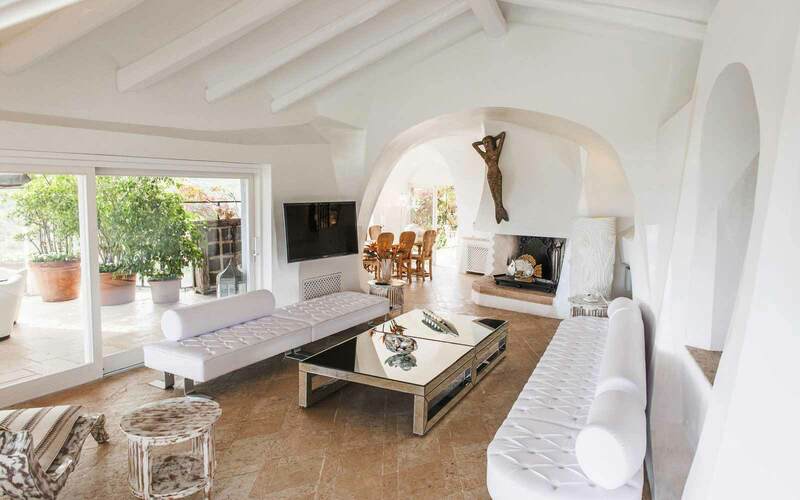 The interiors are stylish and elegantly decorated with a combination and attention to detail that makes this property a charming sought after villa. 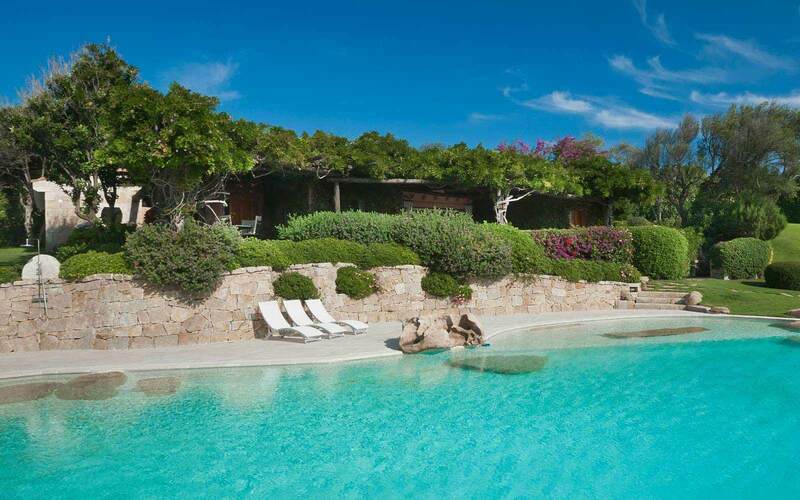 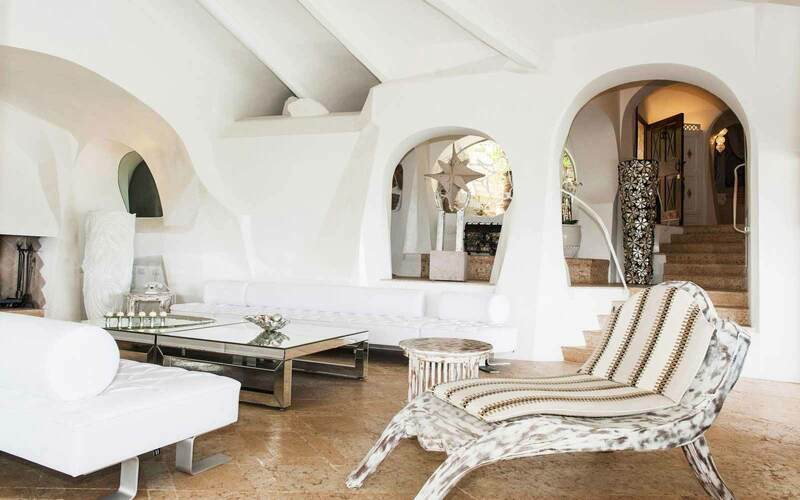 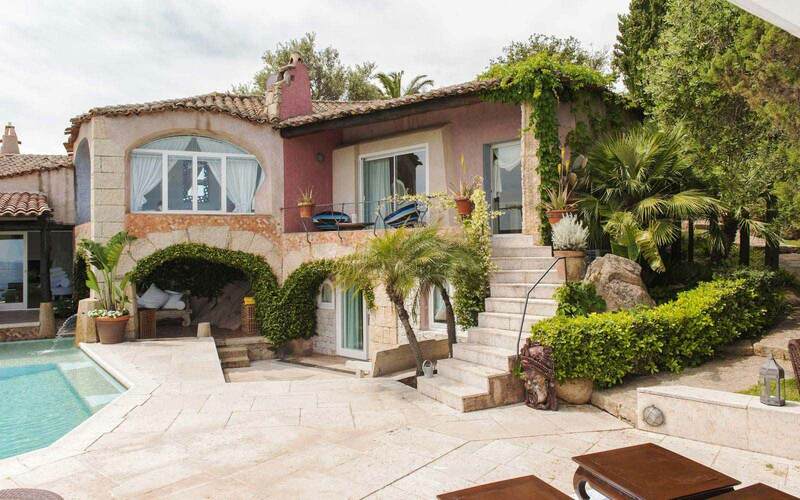 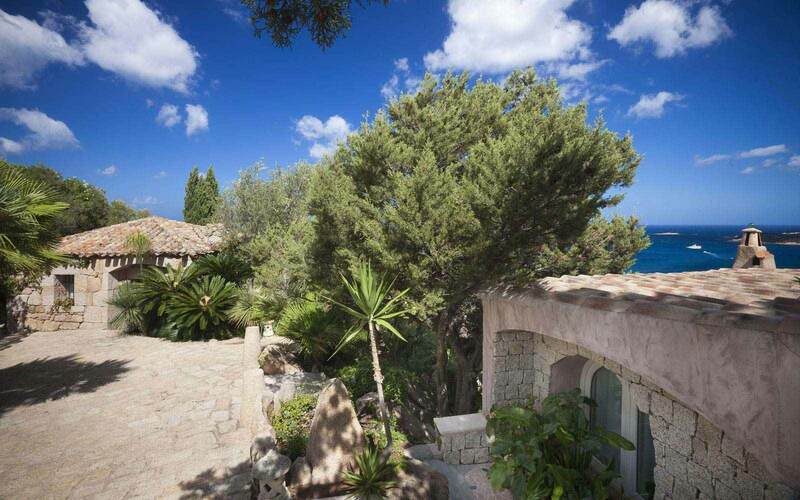 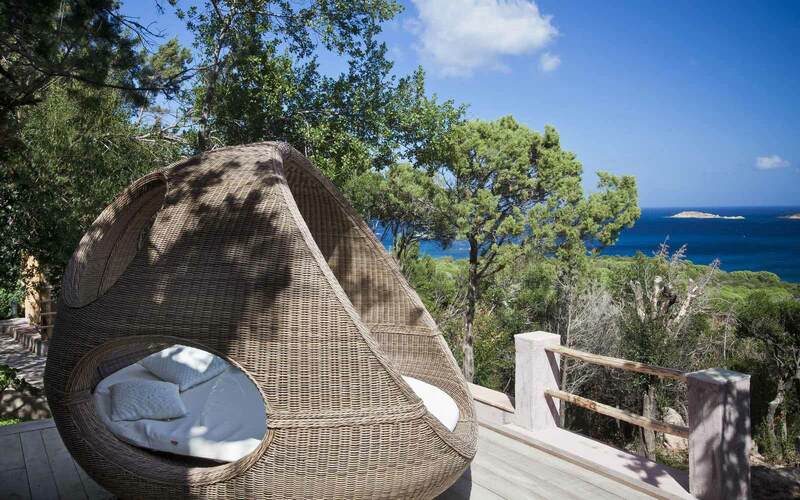 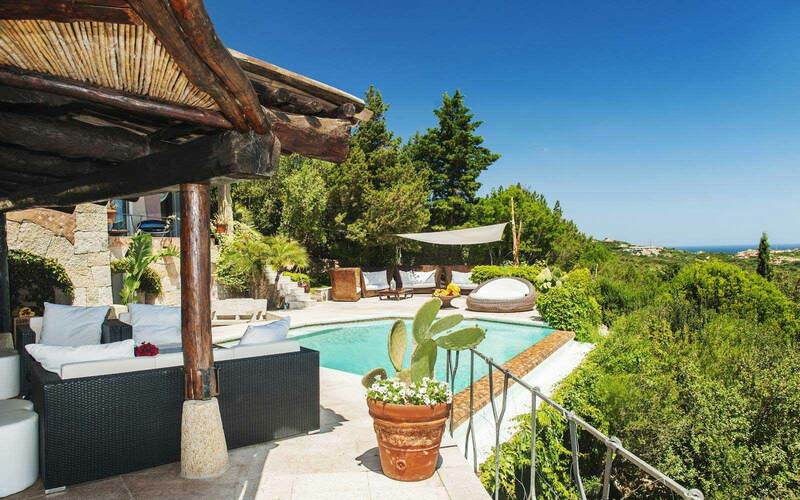 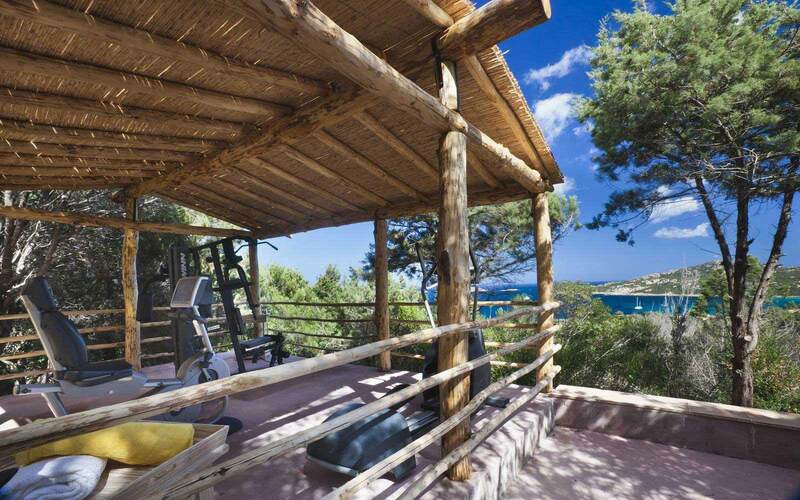 The villa nestled in a garden of 5,000sqm with direct access to the beach of Cala Corallina, through a short path. 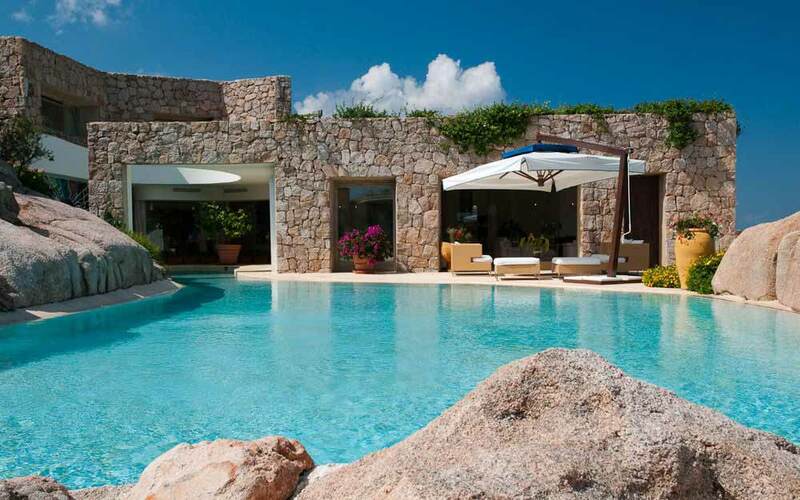 Set amongst the landscaped gardens, the large freshwater swimming pool, created from local stone and boulders, complements the beautiful surroundings. 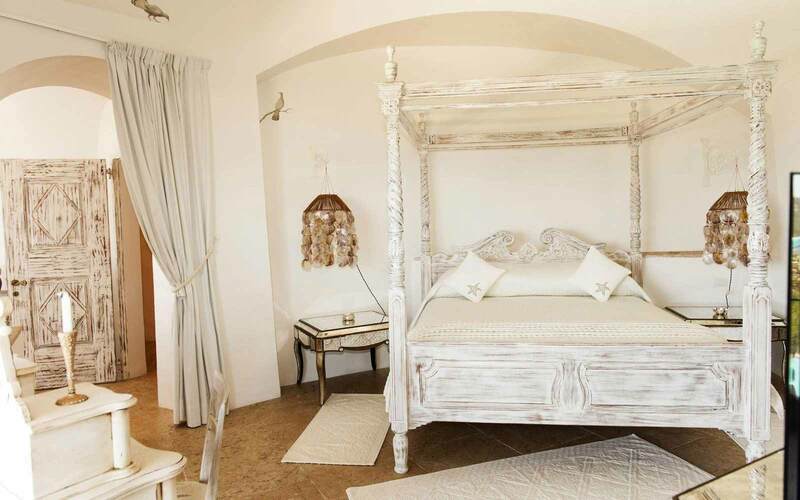 The interiors feature cotto flooring, summer colours of blue and white with Sardinian style classic ambiance. 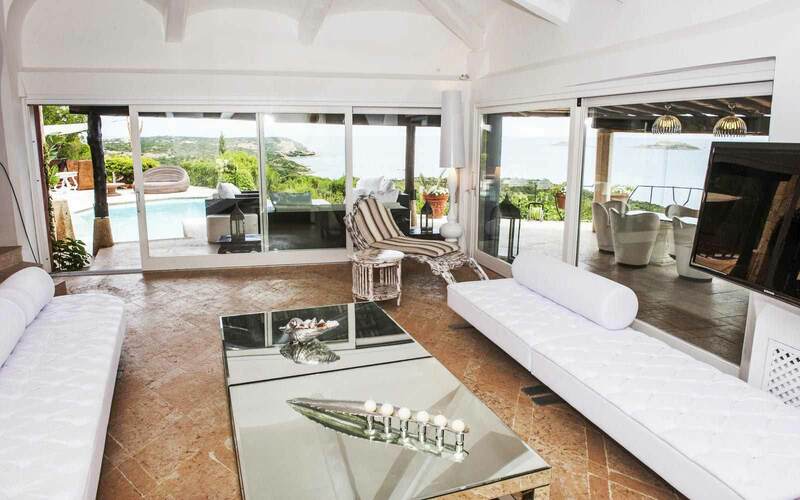 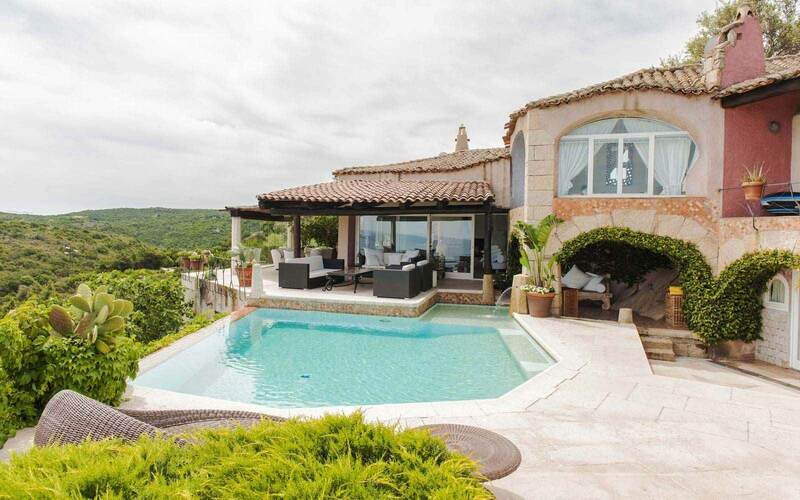 The villa has a large living room with dining room and panoramic terraces. 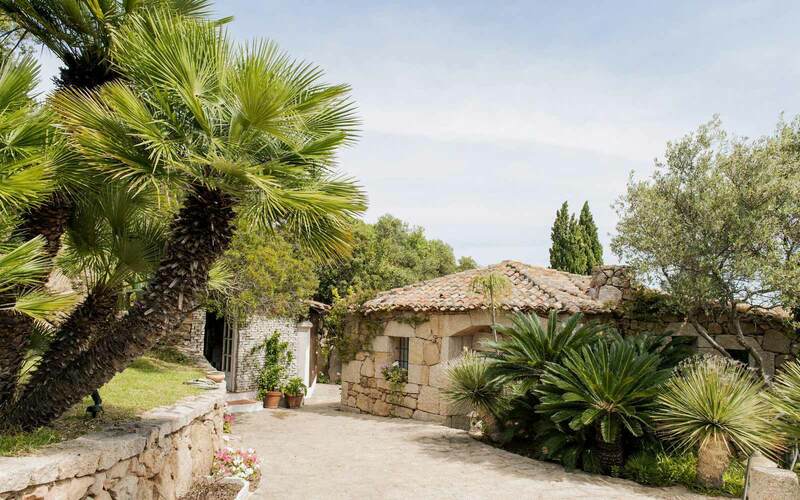 There are two small rooms one for breakfast and one for lunch and a large and well equipped kitchen; also an outside kitchen and barbeque area with a firewood pizza oven. 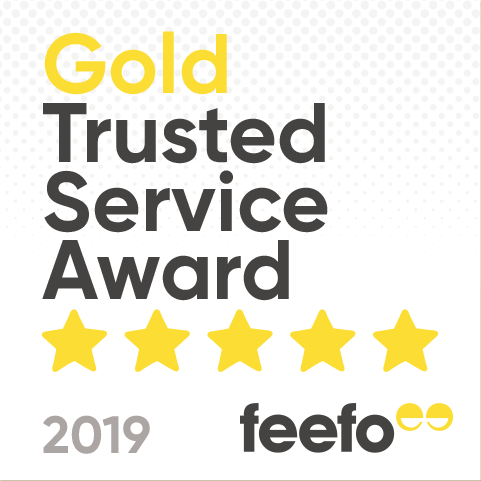 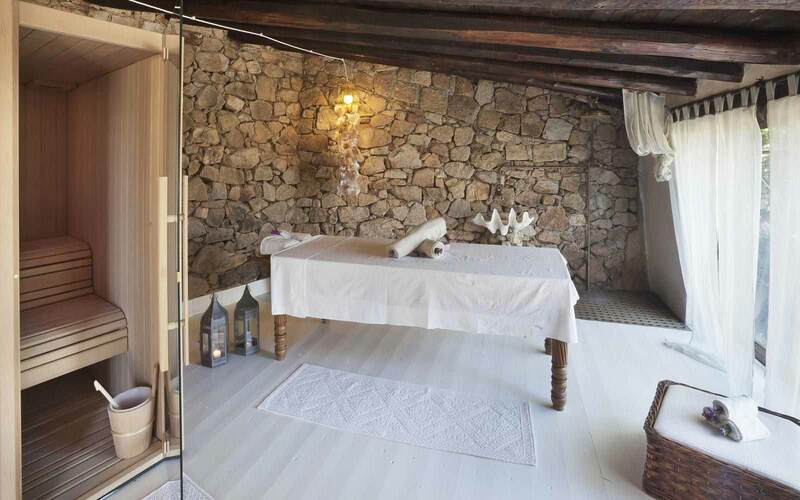 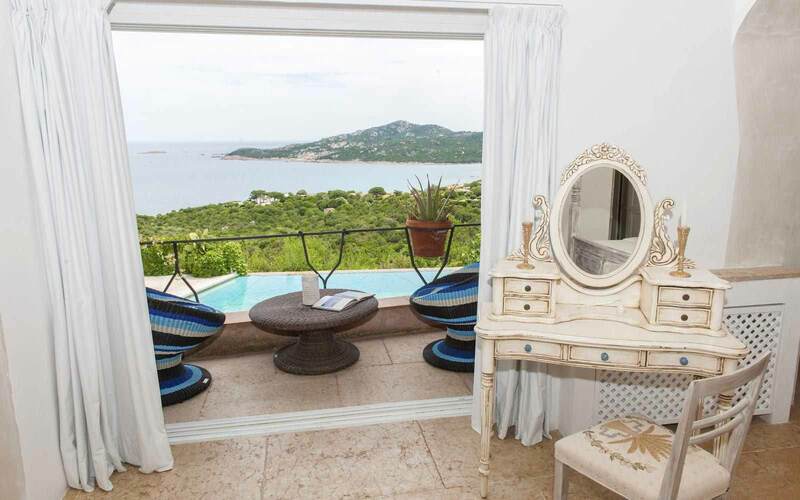 The rooms are very comfortable and the villa can accommodate up to 10 guests in 5 rooms (3 of them with en suite and two interconnecting sharing a shower room). 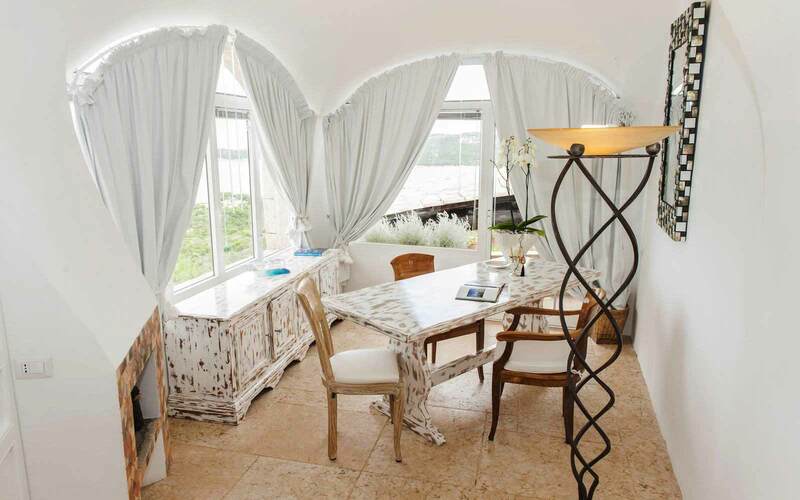 Bedrooms are distributed around a central patio, the master bedroom has a private study, bathroom and panoramic terrace; having independent access there are, a double bedroom with en-suite shower room and a further one bedroom which is interconnecting with a twin bedroom and share a shower room. 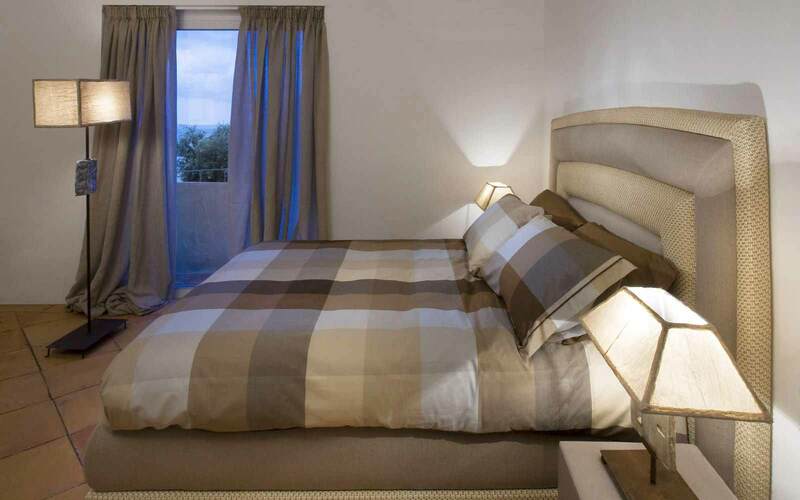 Next to the swimming pool there is a further double bedroom with private lounge area and shower room. 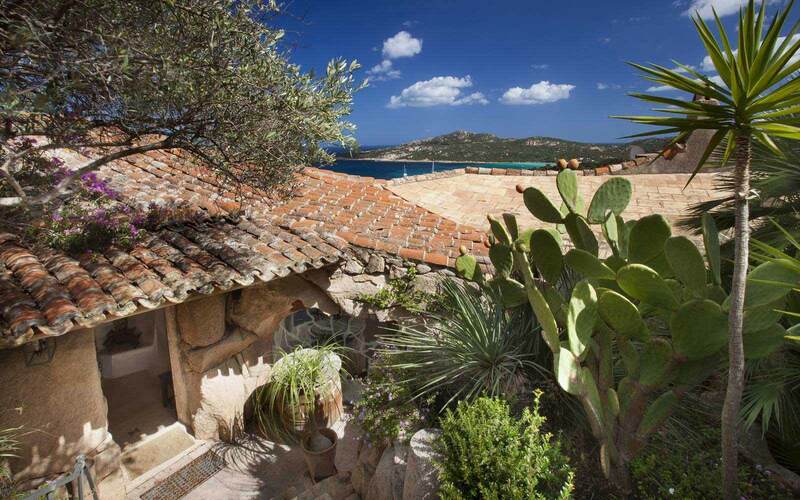 The staff quarters with independent access have two bedroom with private shower room. 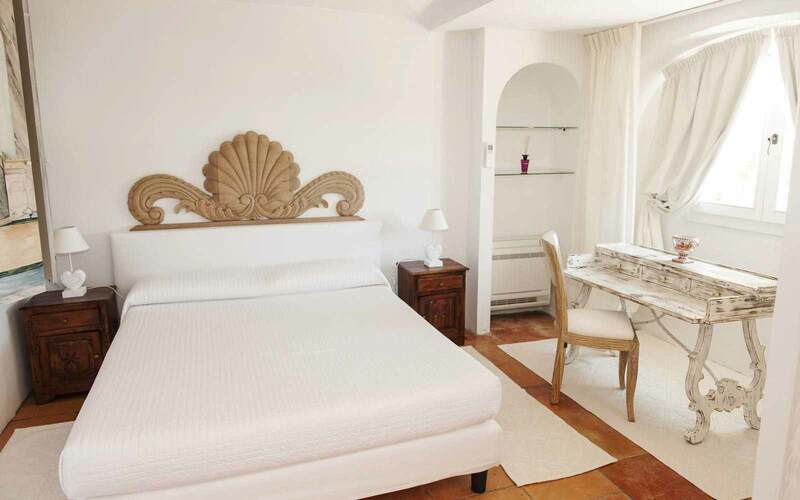 Maid 6 hours per day six day per week, electricity, water change of linen.